World renowned golfer Greg Norman’s motto is “Attack Life” because he never does anything half way. He certainly continued that tradition when he designed the Norman Course at Barefoot Resort in North Myrtle Beach. The Norman course features seven holes nestled along the beautiful Intracoastal Waterway and offering outstanding views. Norman incorporated many of his ideas that he has discovered while playing during his Hall of Fame career. The Norman course measures 7,200 yards from the back tees and plays to a par of 72. Using natural vegetation, sand and water, Norman built a challenging course that will test all skill levels of players. 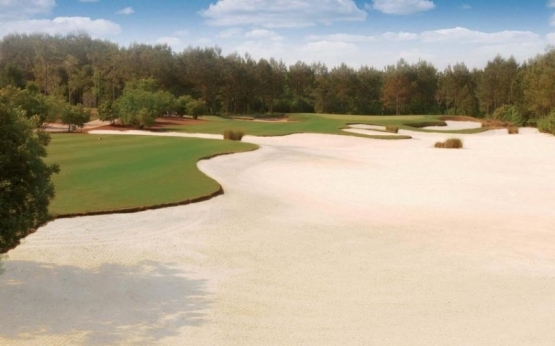 The Norman Course at Barefoot Resort and Golf was ranked in Golf Digest’s “Places to Play” and was No.28 in the “Top 50 Courses of Myrtle Beach” by Golf Digest. The Barefoot Resort has a beautiful 35,000 square foot clubhouse with a wrap- around porch overlooking breathtaking views of the golf course. The Norman course certainly should be included in your next Myrtle Beach golf package. While in Myrtle Beach be sure not to miss out on any of the wonderful Myrtle Beach attractions and Myrtle Beach nightlife. There are many great Myrtle Beach restaurants, Myrtle Beach condominiums and Myrtle Beach fun for everyone. Book your Myrtle Beach vacation today!